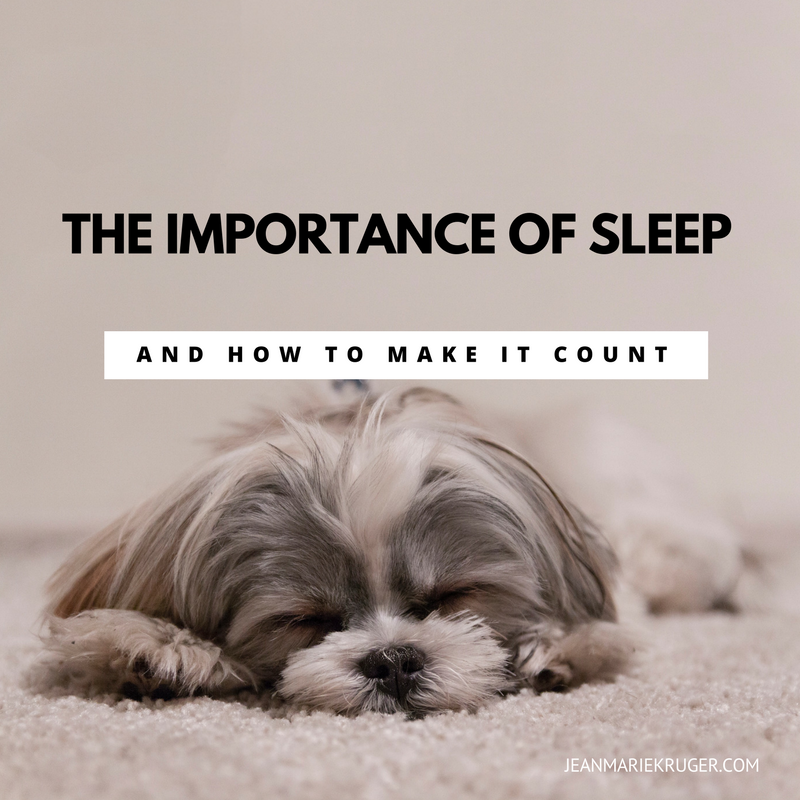 The Importance of Sleep – And How to Make It Count! In today’s culture, we are conditioned to pride ourselves in going to bed in the wee hours of the morning and getting up at the crack of dawn. This classifies you as a go-getter! One of those who make it count. “We’ll sleep when we’re dead.” Well, the lack of sleep might just get you there sooner. I’m a big advocate of the fact that God created humans just like machines. Take away one of the vitals like oil or maintenance, then the entire machine will begin to wear out and finally break down. Sleep deprivation almost always affects mental health first; some people become moody and others are just more prone to whatever their weaknesses are. Surprisingly many health conditions such as heart problems, diabetes, weight gain and depression, can be traced back to lack of sleep. Exposure to bright light or daylight decreases the production of Melatonin – the sleeping hormone. This hormone is naturally higher in our bloodstreams during night time and much lower during the day. This hormone can be taken as a supplement but be warned that it has it’s own set of side effects if not naturally produced. Plan a bed time ritual to wind down. At the end of the day, we are just like our children! If we follow the same routine every evening before bed, your body will start preparing to fall asleep on a subconscious level. Switch off electronics and external stressors at least 40 minutes before you plan to fall asleep. Blue light from cell phones and tablets also decreases the level of Melatonin in your body. Probably the worst thing that could happen is receiving an upsetting email from work or an exciting new project that you just can’t stop thinking about. Make your bedroom your haven. Do not use your bedroom for an office. Do not put a television set in your bedroom. This is where you rest. Your subconscious mind will immediately pick up the surroundings and start preparing your body for sleep. I have learned the hard way that sleeping in the wrong position, can horribly impact both your sleep and your quality of life during the day. When sleeping on your stomach, your head is forced to be pointed to either side of the body, you can easily strain the muscles in your neck and cause migraines during the day. They recommend rather sleeping on your side but the first prize being on your back. I have read in a medical magazine at my doctor’s office that you should keep your room cool and wear light long sleeved clothes. This allows your body’s natural thermoregulation to keep your body cool. I’ve gone ahead and tested this theory and was pleasantly surprised!! I slept longer and deeper with my snuggly nighties!